You know how I mentioned I've been eating quinoa most days lately? Well it's because I've been eating this almost every day for breakfast! Since I began nursing my son, satisfying my appetite has been quite a challenge- I seemed to be hungry just an hour after first eating breakfast. When we were wrapping up our stay in Japan our food options were lacking terribly and most of the foods we typically had around for breakfast (milk, cereal, yogurt) were out of stock in our kitchen. 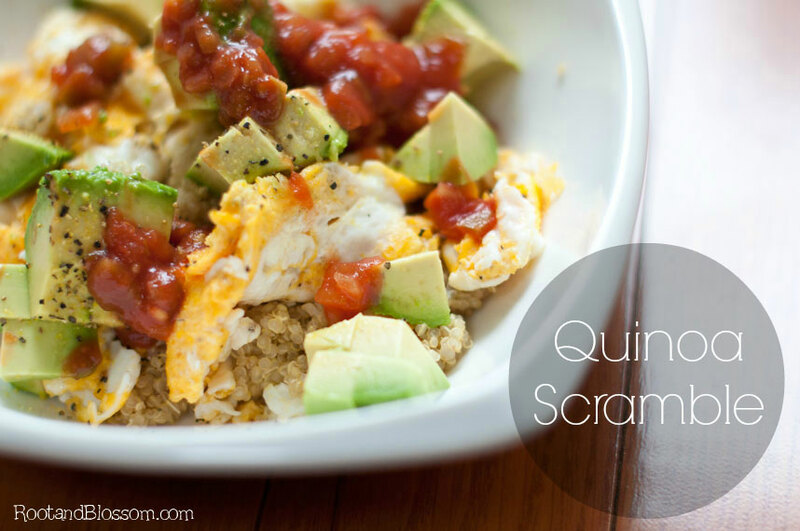 I woke up one morning and saw quinoa, eggs, avocado, and salsa. This meal for breakfast is so incredibly satisfying. Rather than being hungry an hour later I feel full almost four hours after. The little guy loves it too and I know it's packed full of goodness for him! Next time I whip up a batch of quinoa for breakfast I think I'm going to try cooking it in vegetable broth. Have any of you cooked your quinoa in vegetable broth? Quinoa for breakfast? Great idea!!! 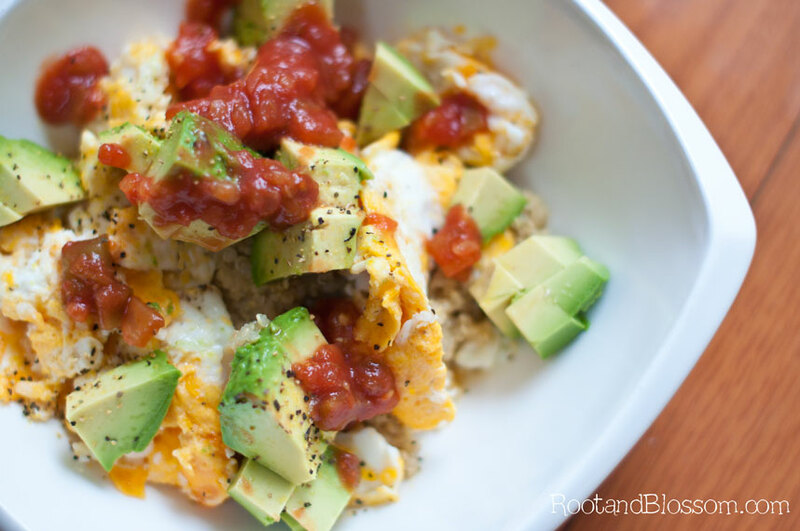 Pinning thus one to try :) Thanks for linking up to Monday Funday! 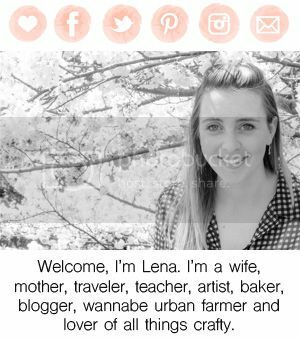 Lena- We love your blog and your recipe looks delicious! Thanks for sharing on the BeBetsy BRAG ABOUT IT. We'd love it if you would link back to us! Opps I thought you were in my link parties, will do! YUM! This looks so good! I have to try it ASAP! Great post!